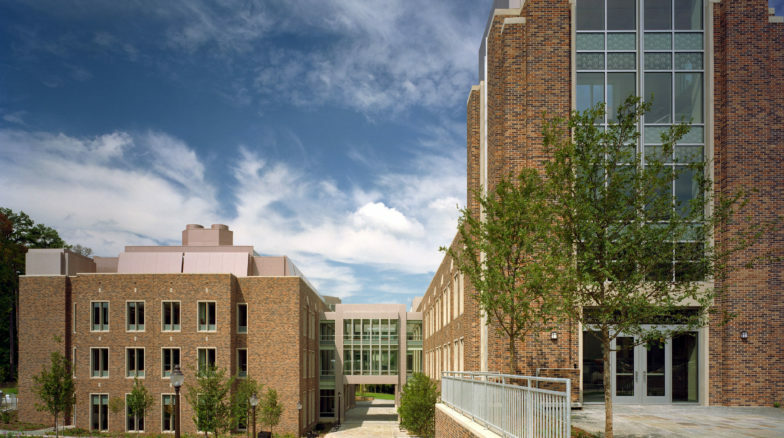 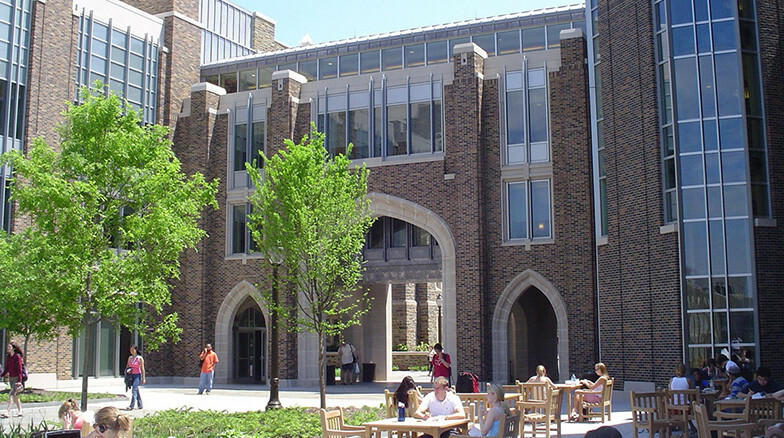 The new 133,000 square foot Perkins Library expansion creates a central destination for Duke University’s student life and academic endeavors. 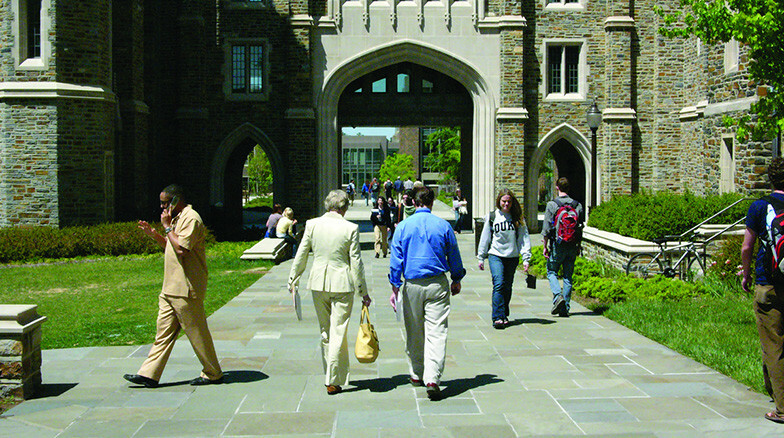 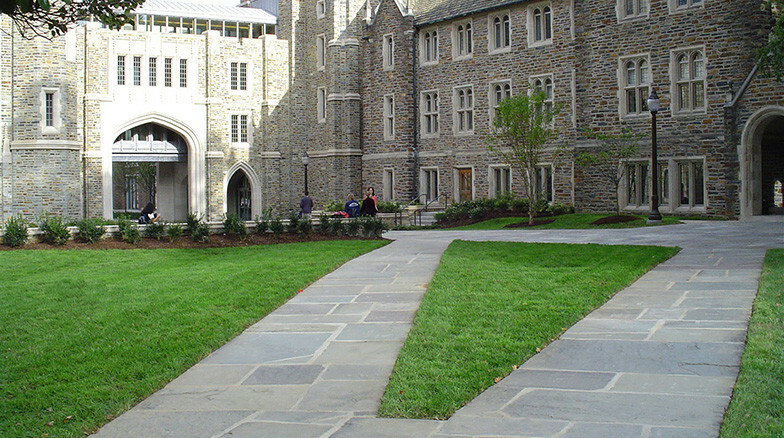 Surface 678 created a series of connecting walkways and plaza spaces as part of the new East-West Pedestrianway that links the Library expansion and new Reading Pavilion with the historic campus quadrangle and adjacent Engineering complex. 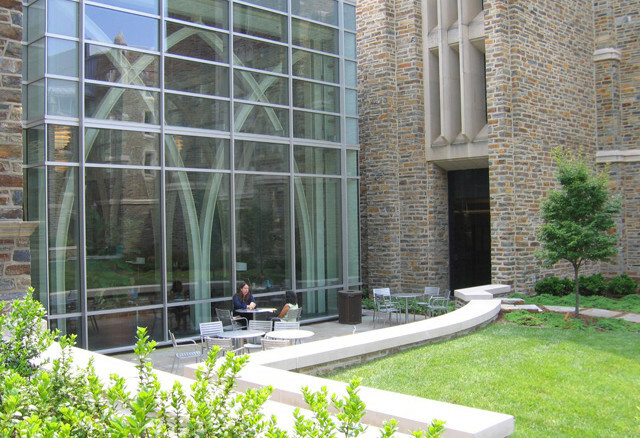 The main library plaza, constructed above occupied space, adds vitality, activity and provides informal places for social gathering including a cafe table court, shaded patios, seatwalls and monumental stairs.